Celebrate the hero in you. 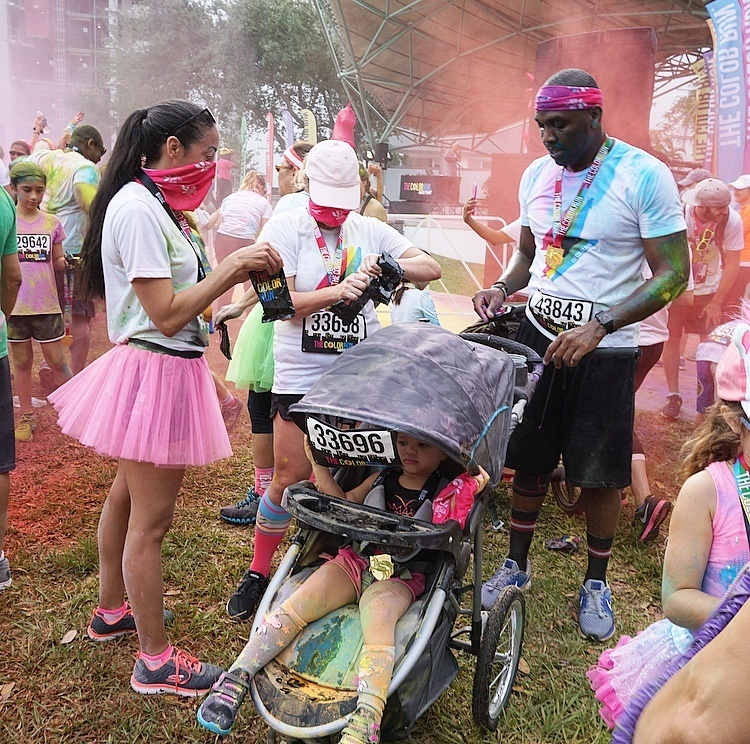 I attended The Color Run in Fort Lauderdale last weekend. The Color Run is an untimed 5k, in which runners are doused from head to toe in different colors each kilometer. 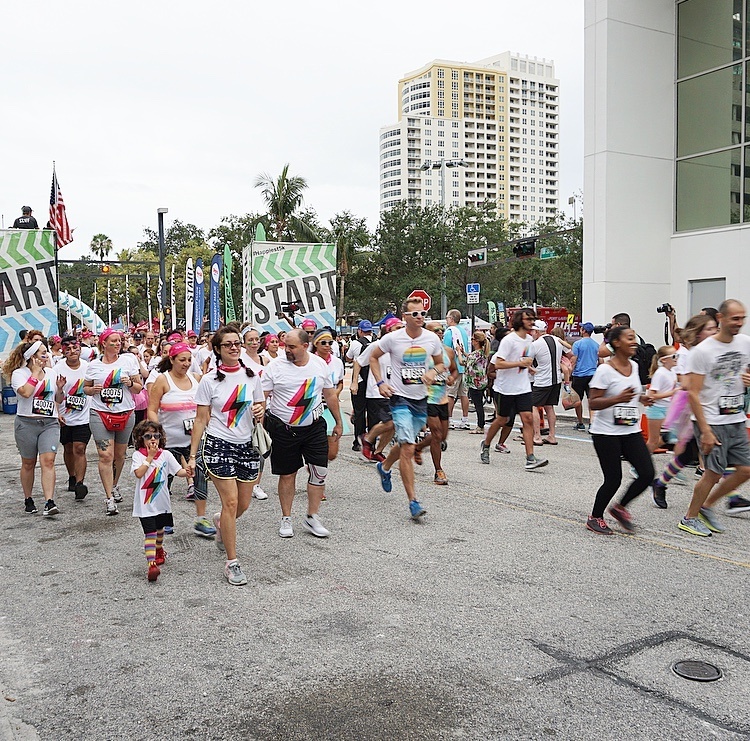 There are only two rules, wear white at the starting line and finish plastered in color. This was the first 5k that I ran but not my first 5k, the first 5k I ever did was Wanderlust 108. When you purchased your ticket. There were four ticket options available and I picked the “Ultra Color Runner” at $54.99. It came with a complete outfit and was shipped directly to me. Also at check out you had the option to create a team or join a team. I decided to create a team, our team name was “Color Fusion“. Fusion by definition means the process or result of joining two or more things together to form a single entity. So I thought it sounded fitting for the occasion. 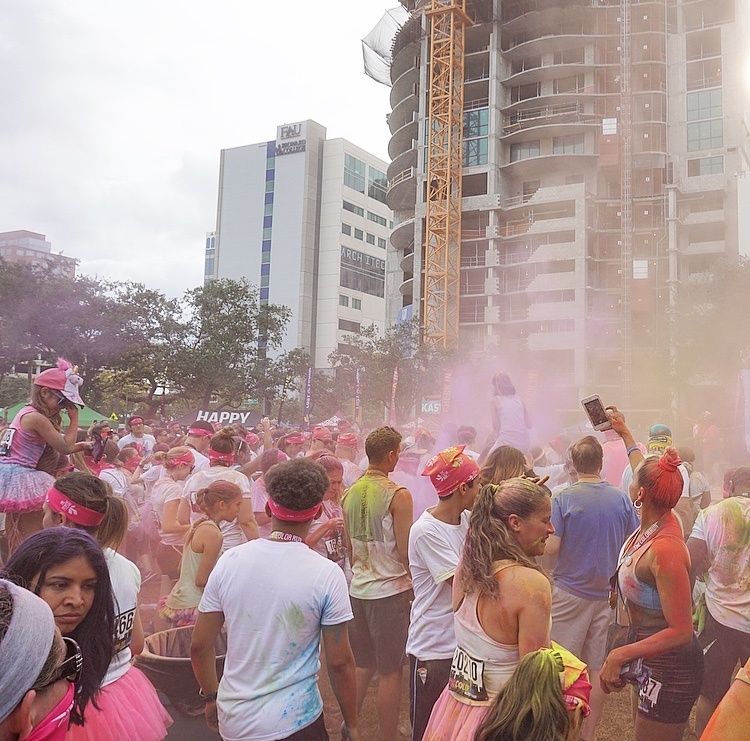 The Color Run was hosted in downtown Fort Lauderdale at the Huizenga Plaza. I ran with my good friend Pierre his wife and daughter. My parents were in town for Mother’s Day. So they tagged along as spectators and I used them as free labor to document the race for YouTube. They would let all the runners start out in phases. Every kilometer that we ran, we encountered volunteers under floats that would douse us in colorful chalk. Every mile that we ran, we saw a inflatable unicorn with the mile number on it. I liked that they had the inflatable unicorns to help us keep track of how much farther we had to go. At the finish line there were more volunteers with chalk as well as a machine spewing out foam. Once we passed the finish line we were given a bag of chalk and a unicorn medal. After the race the fun continued with a finish festival. At the finish festival they had music blaring and everyone was dancing and throwing chalk in the air. They had a bunch of vendors giving out water and snacks to the runners. There were also food trucks lined up along the plaza for those that were hungry. We walked around for a bit and took advantage of the snacks that they were giving out. I stopped by The Color Run Store and picked up a magnet and keychain before I called it a day. On the days leading up to the race I received emails from The Color Run with an event guide and cleaning guide attached. The event guide went over the location, parking and safety. The cleaning guide gave instructions on what to do before the race and after the race. I found the cleaning guide to be most helpful. Before the race I put a deep conditioning mask in my hair to make it easier to wash out the color. I also made sure to bring sunglasses to avoid getting the chalk in my eyes. Immediately after the race I dusted myself off as best I could. In my car I brought towel to sit on, in order to not get chalk all over my car. Lastly, I washed everything I wore as soon as I got home in cold water. As I mentioned earlier my parents were in town and recorded the race while I ran. 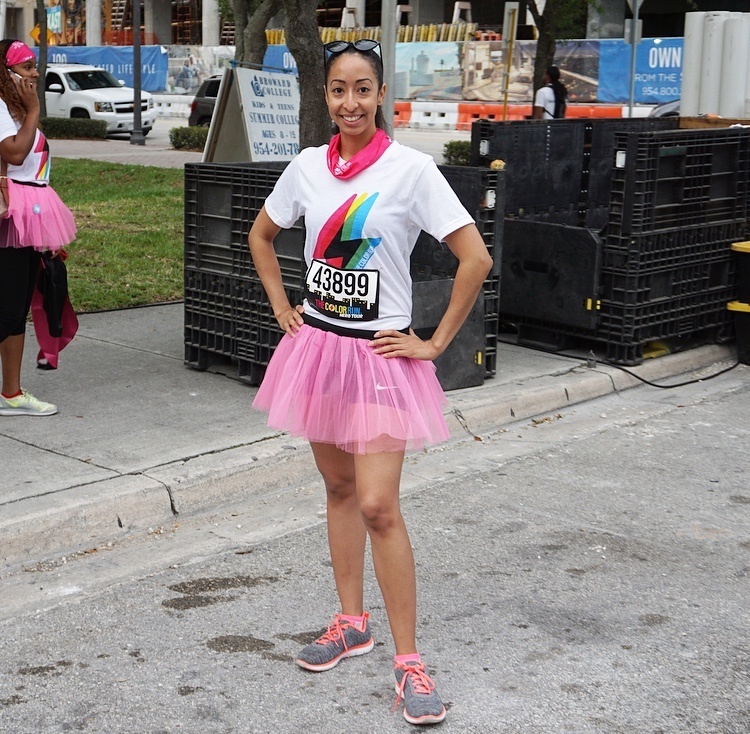 Check out the video below to join me at the #happiest5k. If you have any questions please comment down below.